Generally, owners of property are responsible for slip and fall accidents and the injuries that they cause in Illinois. "Slip and fall" incidents are distinct kinds of premises liability case that implicate specific laws, rules, and cases. They arise whenever someone falls, trips, or slips on another person's or entity's property and gets hurt. 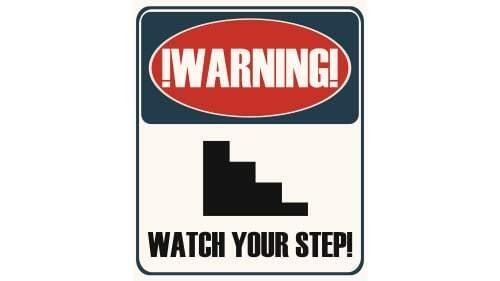 What Is Premises Liability And Who Is Liable For Accidents? So Who Can I Sue In An Illinois Slip And Fall Case? What Is Illinois Law On Premises Liability And Slip And Fall Cases? How Do Slip And Fall Cases Work In Illinois? Do You Have Questions About An Illinois Slip And Fall Case? Our Team Of Personal Injury Attorneys Are Here For You! In any given day, you might walk across or near to many kinds of properties. If you are invited to one, like a friend's house or a store's venue, you would think that you wouldn't get hurt upon entering. This intuition is the basis for premises liability law. Property owners of any stripe must ensure that their confines are relatively safe. If they don't live up to this standard, then premises law theory states that owners and residents are responsible for injuries that occur on their grounds. Slip and fall cases are just one kind of accident that would invoke premises liability for homeowners, businesses, or even government bodies. Store owners in public areas. Business owners in private areas. Other kinds of property where you are invited onto the premises. As you can see, there are a whole host of property owners that are liable to you in the evet of a fall. The question of who you can sue depends less on the type of property and more on your reason for being there. You'll have more luck if you were specifically invited onto the plot of land or at least had a business reason for being there (in which case the law would deem you a licensee and you would get the full protections of invitees in Illinois). On this subject, Illinois enacted the Premises Liability Act (740 ILCS 130/1). In line with traditional rules, it states that property owners are responsible if people are harmed on their premises for accidents like slips and falls. However, the harmed person cannot be just anyone. He or she must be an invitee as opposes to a licensee or a trespasser. Invitees are people that the premises owner specifically invited. Licensees are guests that enter another's land for their own reasons and trespassers are people who enter another's land with no explicit or implicit invitation at all. Importantly, Illinois recently abolished the difference between an invitee and a licensee. Therefore, both of those groups are owed the duty of reasonable care under the circumstances. Pre-Trial: During this time, your counsel will conduct all necessary investigation in order to ascertain all relevant evidence, witnesses, and facts in order to present a winning argument. Pleading: During this stage, your lawyer will draft and file a complaint that states your injuries, right of relief, and plea for damages. Also, the defendant will respond in an answer that affirms or denies every allegation contained in your complaint. Discovery: During this time in your slip and fall case, both sides will formally ask the other side for information and materials. There are various devices at their disposal to accomplish this including interrogatories, depositions, requests to admit, and requests for information. Trial: At this point,the plaintiff and defendant will present their case to the jury through arguments and question the assumptions of the other side through examinations. If you are successful, the jury will return a verdict in your favor. This is typically how slip and fall cases work in Illinois. Although, they can also end in settlement which bypasses a number of the common stages associated with these lawsuits. Settlement offers some advantages to slip and fall plaintiffs. It also offers a number of challenges. To understand the difference between the two paths (trial and settlement), speak with a qualified personal injury lawyer in Illinois. The foregoing questions merely begin the discussion on slip and fall litigation in Illinois. After working with many victims of these injuries, we know that you probably have many questions regarding what you can do, what you need to do, and what It is all worth. We can answer all of these questions. Plaintiffs across Illinois have trusted Rosenfeld Injury Lawyers LLC in court rooms and settlement rooms with their slip and fall claims. That experience and trust has shown us the skill, resources, and dedication that's needed to prevail in these matters. They're not easy but our lawyers can walk you through every step of the process. Additionally, we meet with every client for a free, no-obligation meeting at the onset to discuss case issues, case worth, and case procedures. Call our offices at (888) 424-5757 or use the contact form to get in touch with us.